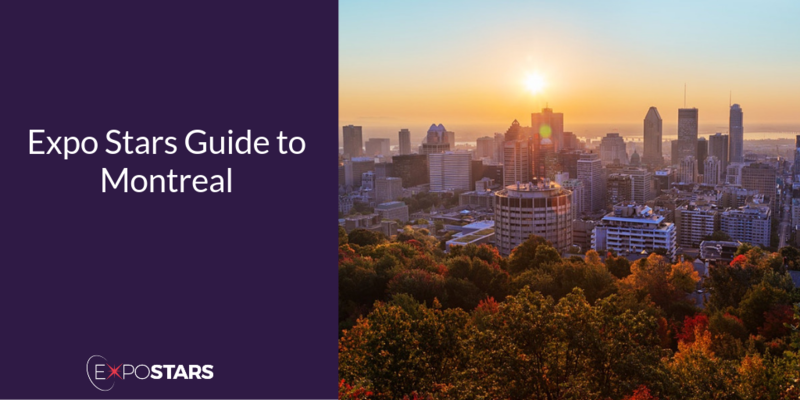 Montreal is the largest city in Quebec province, and is named after the mountain at its heart: Mount Royal. However it isn’t all roses: Montreal is notoriously difficult for running a small business, due in part to the high tax rates and reams of red tape complicating an already challenging pursuit. And in 2016 it was ranked as the least entrepreneurial urban centre in the country by the Canadian Federation of Independent Business. But having said all that, you shouldn’t let that put you off exhibiting here, Montreal is fast growing a reputation as being a green city and was the first city in North America, this year, to ban plastic bags. Montreal has been certified as an eco-responsible destination for meetings and conferences by experts at iCompli Sustainability. Once you fly into Montréal-Trudeau Airport, getting downtown, 25 minutes away, is relatively easy - you can take a taxi or use public transport. The Society in Motion is Montreal's public transportation service and operates the 747 bus line, which provides 24/7 service between YUL and the central bus station (Gare d'autocars de Montréal – Berri-UQAM métro station). Travel time varies, but takes between 45 to 60 minutes, depending on traffic conditions. Montréal is the second largest French-speaking city in the world. Trek up Mont-Royal which rises 233 meters above the city and is the green space near the city centre. Wander around Vieux-Montreal (Old Montreal) and take in its many historic sites, streets, and landmarks, of which are best explored on foot. Restaurant Su - expect grilled meats, garlicky yogurts, and tangy mezzes. Café Bazin - french cuisine such as spinach quiche and savoury Paris-Brest with pâté; be sure to save room for a tartlet or cake from one of the city’s top dessert makers.